The latest 13F reporting period has come and gone, and Insider Monkey is again at the forefront when it comes to making use of this gold mine of data. We have processed the filings of the more than 700 world-class investment firms that we track and now have access to the collective wisdom contained in these filings, which are based on their December 31 holdings, data that is available nowhere else. Should you consider AXA Equitable Holdings, Inc. (NYSE:EQH) for your portfolio? We’ll look to this invaluable collective wisdom for the answer. AXA Equitable Holdings, Inc. (NYSE:EQH) was in 26 hedge funds’ portfolios at the end of December. EQH has seen an increase in support from the world’s most elite money managers lately. 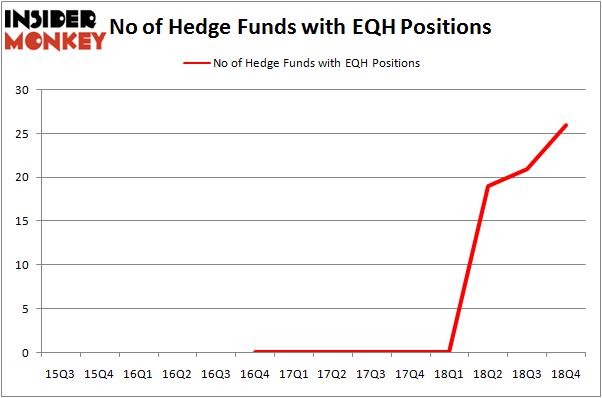 There were 21 hedge funds in our database with EQH positions at the end of the previous quarter. Our calculations also showed that EQH isn’t among the 30 most popular stocks among hedge funds. We’re going to review the key hedge fund action surrounding AXA Equitable Holdings, Inc. (NYSE:EQH). How are hedge funds trading AXA Equitable Holdings, Inc. (NYSE:EQH)? Heading into the first quarter of 2019, a total of 26 of the hedge funds tracked by Insider Monkey were long this stock, a change of 24% from one quarter earlier. Below, you can check out the change in hedge fund sentiment towards EQH over the last 14 quarters. So, let’s check out which hedge funds were among the top holders of the stock and which hedge funds were making big moves. Among these funds, Pzena Investment Management held the most valuable stake in AXA Equitable Holdings, Inc. (NYSE:EQH), which was worth $237.7 million at the end of the third quarter. On the second spot was Citadel Investment Group which amassed $144.9 million worth of shares. Moreover, Sessa Capital, Alyeska Investment Group, and Gillson Capital were also bullish on AXA Equitable Holdings, Inc. (NYSE:EQH), allocating a large percentage of their portfolios to this stock. As one would reasonably expect, key money managers have been driving this bullishness. Laurion Capital Management, managed by Benjamin A. Smith, created the largest position in AXA Equitable Holdings, Inc. (NYSE:EQH). Laurion Capital Management had $20.4 million invested in the company at the end of the quarter. Usman Waheed’s Strycker View Capital also initiated a $14.3 million position during the quarter. The other funds with brand new EQH positions are Jeffrey Talpins’s Element Capital Management, Tony Davis’s Inherent Group, and Cliff Asness’s AQR Capital Management. Let’s go over hedge fund activity in other stocks – not necessarily in the same industry as AXA Equitable Holdings, Inc. (NYSE:EQH) but similarly valued. We will take a look at Sun Communities Inc (NYSE:SUI), Qurate Retail, Inc. (NASDAQ:QRTEA), Open Text Corporation (NASDAQ:OTEX), and PerkinElmer, Inc. (NYSE:PKI). This group of stocks’ market valuations are similar to EQH’s market valuation. As you can see these stocks had an average of 24 hedge funds with bullish positions and the average amount invested in these stocks was $742 million. That figure was $676 million in EQH’s case. Qurate Retail, Inc. (NASDAQ:QRTEA) is the most popular stock in this table. On the other hand PerkinElmer, Inc. (NYSE:PKI) is the least popular one with only 19 bullish hedge fund positions. AXA Equitable Holdings, Inc. (NYSE:EQH) is not the most popular stock in this group but hedge fund interest is still above average. This is a slightly positive signal but we’d rather spend our time researching stocks that hedge funds are piling on. Our calculations showed that top 15 most popular stocks among hedge funds returned 19.7% through March 15th and outperformed the S&P 500 ETF (SPY) by 6.6 percentage points. Hedge funds were also right about betting on EQH as the stock returned 25.6% and outperformed the market as well. You can see the entire list of these shrewd hedge funds here. Were Hedge Funds Right About Flocking Into Altice USA, Inc. (ATUS) ? Here’s What Hedge Funds Think About IDEX Corporation (IEX) Were Hedge Funds Right About Souring On WestRock Company (WRK) ? 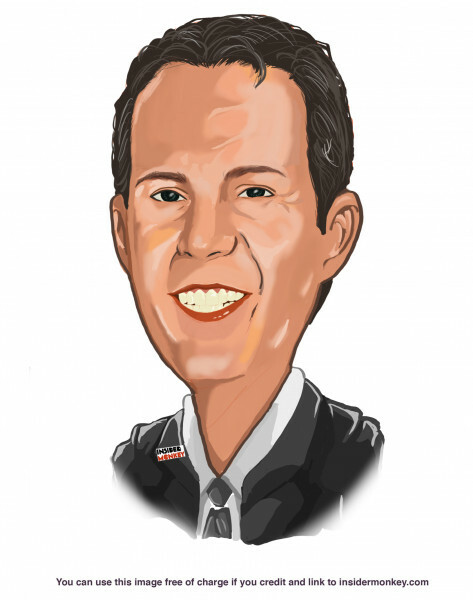 Here is What Hedge Funds Think About Jack Henry & Associates, Inc. (JKHY... Here’s What Hedge Funds Think About The Gap Inc. (GPS) Did Hedge Funds Drop The Ball On Kansas City Southern (KSU) ?